David Powers King: Mark of the Thief and A Weekend With The Authorities! 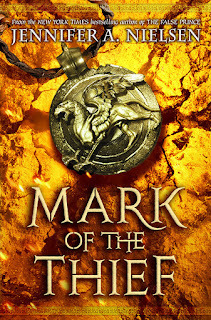 Mark of the Thief and A Weekend With The Authorities! Jennifer Nielsen knows how to get the action started right away, and Mark of the Thief does not let up. 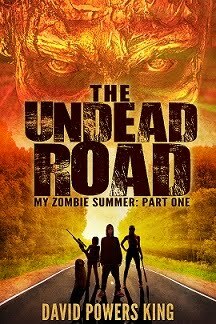 There is a lot of action throughout the book and, of course, ends with a surprising twist. The journey of Nic from slave to being the most sought after person in Rome is wrought with adventure and high danger. Who can Nic trust when everyone has an agenda and he is a means to an end in their eyes? It goes without saying. If you enjoyed The False Prince books, you'll certainly enjoy this one. Not sure I've told you about the writing group that I'm lucky to be a part of, but I need to publicly thank them for an incredible weekend last week. Our fearless leader of The Authorities (we're a punny bunch) organized a retreat at the East Canyon Resort, free from distractions, strong with mountain air, and an always-steaming hot tub. I wish I could've spent the whole time writing. 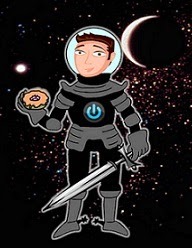 Instead, I caught up on emails and developed the plots of a new story and a series. Observing one of our members as they watched the original 1977 Star Wars (not special edition) for the first time was a treat, too! But more than that, I was able to discuss issues that have plagued me for the last couple of months. All without judgement. And I thank them for hearing me out and allowing me to vent my frustrations. It cleared a lot of air and helped me realize how good things really are, and what my focus should be. 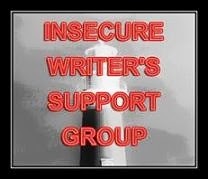 All writers deserve a group like this. Darren, LeChelle, Lindzee, Jacob ... you guys are rockstars. For now, I'm drafting proposals and getting ready for my first time ever at Writing and Illustrating for Young Readers conference next week. After that, a short tour east. 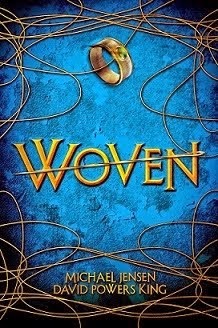 I'll stop at as many Barnes and Nobles stores to sign their copies of Woven as I drive along the I-80, followed by a signing and library presentation in western Illinois (for details, check out my schedule). A month later, a small tour west to my hometown of Burbank, CA (signing copies as I drive west on the I-15). And many movies to catch up on. All in all, a full summer. Back to work time. As always, thank you for visiting my blog. What books are you reading right now? Ever go on a writing retreat with other authors? What's your favorite summer movie so far? I'm David, and "the park is open..."
Glad you had a good time at the retreat. Good luck with the road tour and sign a lot of copies. I've always wanted to go on a retreat like that! Jealousssss! I REALLY enjoyed The False Prince, although my interest in the series fizzled a little with the second book -- it was good, but not as amazing as the first, since the big reveal had already happened -- and for whatever reason, I never did read the third. But I am up for trying The Mark of the Thief. Need to get it on my TBR list pronto! I think it's fantastic that you're doing a cross country tour. I didn't get any push from my publisher to do that, and although I could have tried to set something up myself -- at least in Texas, where I'm traveling for a family wedding in the fall -- I am just too chicken to contact strange book stores on my own. Aaaand, I figured the wedding trip was, you know, all about the bride and groom. So I did nothing. Wish I was braver. A core group of great friends can make life so much better, i'm glad you have them! I've always wanted to go on a writing retreat. Glad yours was such a good experience. Can't wait to see Jurassic World. Congrats to Jennifer on an awesome sounding book with a great cover. One of these days, I'll get to a writing retreat like that. Sounds like fun. Sounds like a long tour and lots of fun. One of my writing groups holds a retreat every year but I've never gone. Too much money when I have my quiet house to myself so many hours of the week. I saw the headline and thought maybe you'd been arrested! Not reading anything at the moment but I need to gather up some summer reading before this Saturday when we set off on our grand tour across the U.S. Got plenty of family to see and maybe some sites. Hope your travels go well for you. The stunt sequences in Jurassic World are pretty neat. "Somethings wrong, they're communicating," Good luck with the tour. Sounds like a great group and sometimes we need to get away to collect our thoughts and clear our minds. CONGRATS on the book tour. Hope to see you in western Illinois. Need to check out when you'll be there. Hopefully I'll be in town. And CONGRATS to Jennifer on her new novel! All the best! I think it's been a while since I've attended a retreat like that. Really good to keep on learning.